I hope you like this, I sure do! Roasting the tomatoes brings out intense flavor. 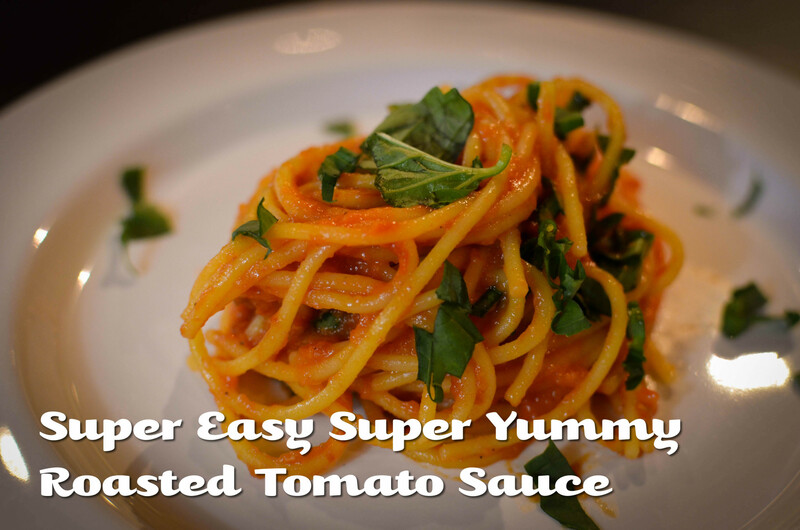 It's a tomato sauce that is easy for kids to make too! Half the cherry tomatoes, or thickly slice tomatoes and toss into a roasting pan. Add chopped onion, garlic, 1/2 teaspoon salt, and 1/4 teaspoon pepper. Add a tablespoon or two of grape seed oil and toss, making sure everything is coated. Roast in the oven for about an hour at 300 degrees, or until the tomatoes are wrinkly. The more you roast, the more intense the flavor. Take the tomatoes out of the oven, and mash with a spatula or fork. Add olive oil to add flavor and creaminess. 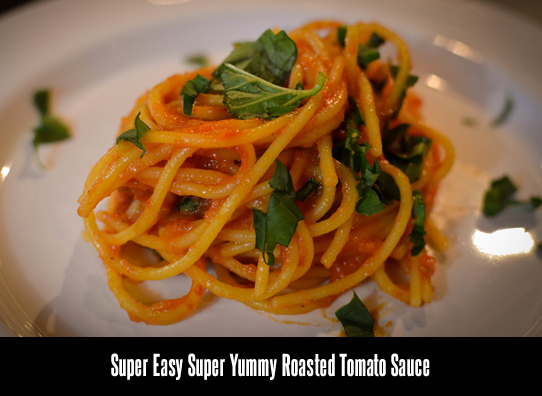 If you'd like, you can puree in a food processor instead of mashing with a fork for a smoother texture. Top it on pasta with basil ribbons. Enjoy!